Posted on July 18, 2017 at 9:30 am. Nowadays, instant water heaters are quite common in households. They are used at residential and commercial buildings due to various benefits such as portability, efficient performance, unlimited supply of hot water and quick water heating. However, many accidents occur due to tankless water heaters. The accidents usually happen due to carelessness. The water heaters can explode if they are not maintained. Make sure that you hire professional service for water heater repair in Cleveland. The installation of water heater is a complex task. It is recommended to leave this task to professionals as they can perform it in an efficient manner. They know how to establish a proper connection between different components through wires. The modern systems have pre-installed chrome pipes, but people make mistakes due to lack of knowledge. A proper water heater repair service in Cleveland ensures that you stay safe from potential threats. The water heaters come in contact with water and have a higher risk level than other electrical appliances. 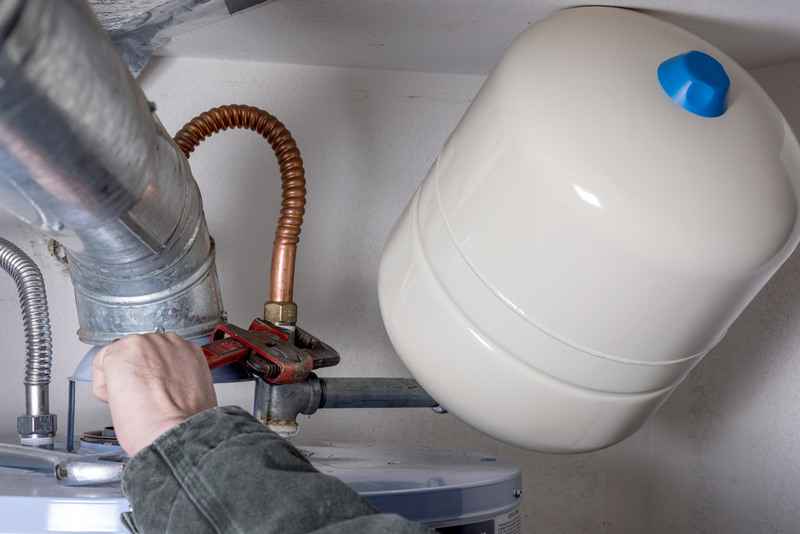 Water heaters can stay in optimal working condition through regular maintenance. It is recommended to hire a professional service provider for water heater repair in Cleveland to extend the life of the system. You can decrease the probability of risks and save costs through timely maintenance service. The professional company looks for potential issues in the system and resolves them at their earliest. However, you may have to replace the system if some minor issues are left unattended. Make sure that the casing of the tankless water heater stays dry. Do not direct the showerhead towards the heater. It is a bad idea to mount the heater just opposite to the showerhead. This increases the risk of electrocution. A majority of water heaters are waterproof these days, but the waterproof covering gets damaged with time. Nevertheless, it is better to be careful in order to keep your family and house safe. A high temperature increases water pressure inside the tankless water heater. If the pressure exceeds the pre-defined limit, water may leak out of the system. Water leakage affects the working of the system and increases the risks of accidents. Make sure that you maintain a moderate temperature to avoid accidents. The ideal temperature limit is 120 °F. A temperature above this limit may cause the pressure to build up and it may burn people. Gas leak is a major issue that usually occurs when the water heater gets too old. The valve gets too loose and results in leakage of water. The valve can also get loose if there is a manufacturing problem. You should acquire the services of a company for water heater repair in Cleveland to ensure regular maintenance. Regular maintenance ensures that the components are repaired or replaced as needed. It reduces the risk of gas leak which is extremely dangerous. Make sure that you check your main fuse box on a regular basis. This fuse box is usually present near the house entrance. It is also referred to as Residual Current Circuit Breaker and maintains the flow of current. A fluctuation in voltage can also affect the working of the water heater. Traditional water heaters contain a temperature and pressure valve. This valve ensures that both factors are within limit to save you from potential damages. It is recommended to check this valve on a regular basis to keep it in optimal working condition. Upon pulling the handle, you can notice the flow of water. It indicates that the valve is working properly. However, you need to repair or replace the valve if water does not flow on pulling it. It is necessary to provide a proper ventilation system so that harmful fumes and carbon monoxide gas from the heater can pass through the room. Lack of ventilation forces them to stay inside the room and affect the health of people. The vent should be of same diameter as the diverter of tank. They should be properly screwed on the wall so that they do not get loose. You can hire water heater repair service in Cleveland for maintenance of ventilation system too. Every instant water heater has a test button. It stops the working of the water heater upon a fluctuation in voltage. Make sure that this button is working. Turn the water heater on and press this button. If it stops electricity to the heater then it is working, otherwise you need to hire professional services for water heater repair in Cleveland. It is a good practice to secure your tankless water heater with earthquake straps, regardless of the fact that you live in an earthquake risk zone or not. It ensures that the heater is fixed at its place and won’t fall down due to any reason. Many people install these heaters in their garages. They are prone to getting damaged with a vehicle. The straps save them from damages and keep them in a working condition effectively. After the water heater becomes too old, it loses its efficiency. It does not gain back its original performance even by replacing certain components. Under such circumstances, the most suitable choice is to replace the heater with an advanced modern system. A traditional water heater can maintain its performance for up to 12 years, whereas a tankless water heater is said to stay in a good condition for 2 decades. You can contact a professional water heater repair service in Cleveland to choose the right heater for your house or commercial office. Metro Plumbing, Heating and Air is a professional plumbing company. The experienced workers are trained and licensed. They can efficiently install new water heaters and repair your existing systems to resolve issues. They have expertise in old plumbing systems as well the modern technology. Contact them for emergency services in case of a mishap to avoid serious damages.